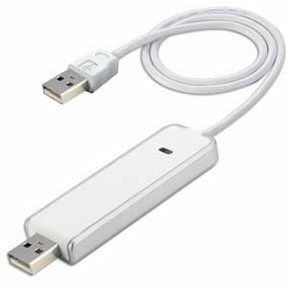 The High-Speed USB File Transfer Adapter is the premier file and data sharing solution for PC users. The EasySuite utility software is already embedded on the High-Speed USB File Transfer Adapter and will automatically load onto your system. USB file transfer cables help you to transfer file between PCs and laptops. It is extremely useful for transferring files between computers or migrating operating systems. You can order them at SF Cable and get them delivered at your doorsteps. Our range of products in this category include USB file transfer adapter cable for PC to PC connections, USB file transfer cables for PC to Mac connections, Serial ATA to USB 2.0 converter adapter, and many others.